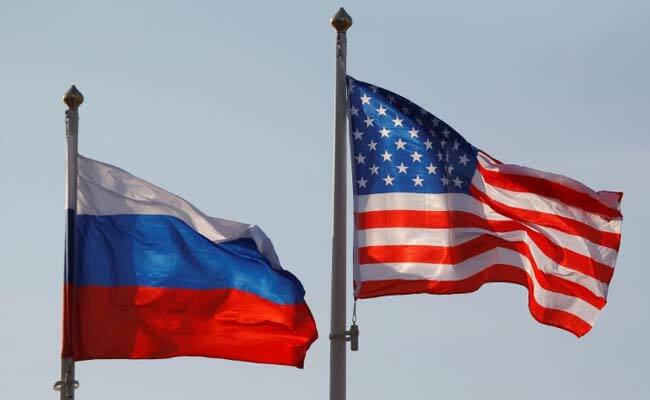 The US treasury has slapped sanctions on 19 Russian citizens and five entities for meddling in the 2016 US elections. 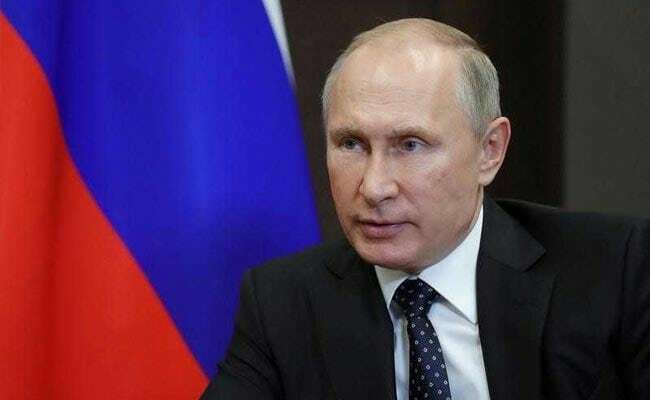 Washington: By imposing new sanctions on Russia and condemning a suspected Russian chemical attack in Britain, Washington has hinted at a tougher stance toward Moscow despite President Donald Trump's stated desire for better ties. In the most significant steps the United States has taken against Russia since Trump took office amid US intelligence agency allegations that Moscow tried to help him win the 2016 election, the US Treasury slapped sanctions on 19 Russian citizens and five entities for election meddling and cyber-attacks. While the Treasury put off targeting oligarchs and officials close to Russian President Vladimir Putin, it said further sanctions were coming and for the first time blamed Moscow for cyber-attacks stretching back at least two years that targeted the US power grid, including nuclear facilities. After initially equivocating about a chemical attack on a former Russian double agent in Salisbury, England, the White House joined a statement by the leaders of Britain, France and Germany in which they said they "abhor the attack" and blamed Moscow for it. Thursday's actions have caused some Russia analysts to ask whether the administration is taking a more confrontational stance despite Trump's repeated statements in the election campaign that he wanted a better relationship with Moscow, his praise for Putin and apparent reluctance to criticize the Russian leader. "I think we have hit an inflection point in the current administration's approach towards Russia," said a diplomat who spoke on condition of anonymity. "There has been a shift in balance." The diplomat attributed the evolution partly to a clash between US-backed and Russian-backed forces in the Syrian city of Deir al-Zor in February; Russia pounding Syria's eastern Ghouta enclave of anti-government rebels with air strikes during the past month; And Putin showing a video on March 1 of a weapon appearing to hover over what looked like a map of Florida, home to Trump's Mar-a-Lago resort. "Those three things, taken together, have caused a shift in analysis in parts ... of the administration," said the diplomat. Other Russia analysts said it was not clear whether Trump had fundamentally changed his stance. Eugene Rumer, a former US national intelligence officer for Russia, suggested Trump's approach may ultimately be guided by Special Counsel Robert Mueller's investigation into whether Russia meddled in the election campaign. The Kremlin denies interfering. Mueller is also investigating any potential collusion between the Trump campaign and Moscow officials, something Trump denies. "My hypothesis is ... the White House stance on Russia is going to be determined to a large extent by how much they think the investigation threatens their political position," Rumer said. In announcing Thursday's sanctions, US officials made clear more would follow. "This is just one of a series of ongoing actions that we're taking to counter Russian aggression," one US official told reporters. "There will be more to come, and we're going to continue to employ our resources to combat malicious Russian activity and respond to nefarious attacks." Sergei Skripal, 66, and his daughter Yulia, 33, were found unconscious on a bench outside a shopping centre on March 4 after being exposed to what the British authorities have identified as a military-grade, Soviet era Novichok nerve agent. This US official, who spoke on condition of anonymity, also pointed to Russia's refusal to restrain Syrian President Bashar al-Assad and the role of Russian "mercenaries" in Syria, now entering its eighth year of civil war. The official said it was unclear if Trump himself saw Russia an adversary but suggested Putin may have "overplayed his hand" by leaving Russian fingerprints on the hacking, the chemical attack, the deployment of ground-launched cruise missiles which the U.S. says violate an arms control treaty, and a March 1 speech on "invincible" Russian weaponry. 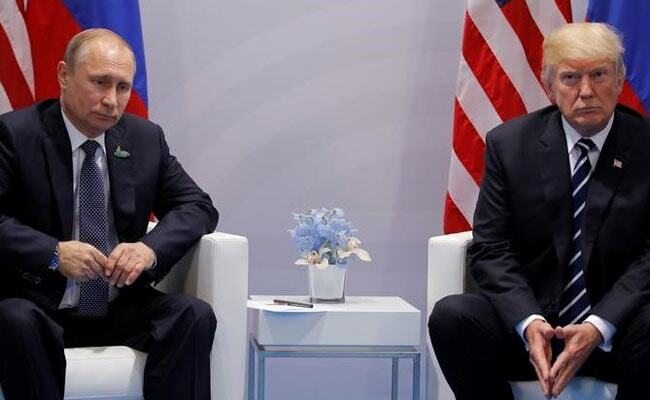 "If the president felt like Putin was one-upping him, not to mention stealing the limelight, then it wouldn't be surprising that he would react," the official said. While more sanctions are expected, it is not clear if the Trump policy toward Russia is changing, especially given Trump's unpredictability, said a third official, who is involved in talks on next steps. "Tomorrow is another day," the official said.